The Tortuga Music Festival takes place in Fort Lauderdale, Florida along the warm beaches of the coast. 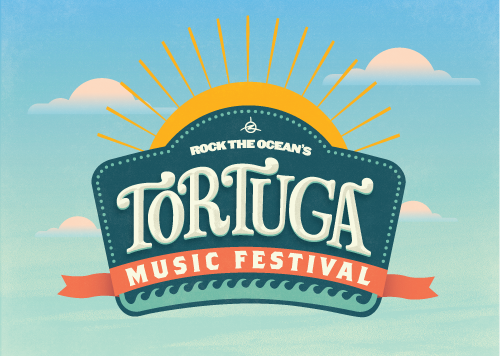 Featuring the biggest names in country music Tortuga is a multi day festival that brings fans together to raise awareness for marine conservation. The festival works directly with the Rock The Ocean Foundation who helps bring to light the issues that are impacting the worlds oceans and to help support scientific research, education and ocean conservative initiatives. Sound interesting? We thought so. We have brought together all the information needed to help you make this trip one for you to remember. The best way to find out any and all festival related information is to sign up for the newsletter. By doing so you will receive emails regarding all the important news concerning the festival such as when tickets go on sale, artist lineups, and more! Something we’ve found useful in the past is creating an account for the site where tickets for the festival are being sold(Which is Ticketfly). This way you can pre-load any information required to buy your tickets and you can change any information on your account at a later time. Advance GA & Regular GA 3-Day or Single Day- Unlimited access to the village, 3 main stages, food, drink and craft vendors, the merchandise store, water refill stations, ATM’s, and shaded areas and structures. Advance VIP & 3 Day VIP – Access to all GA Amenities, the VIP Grove and Viewing areas, VIP Entrance and Exit, Will Call, VIP only vendors, complimentary beer, wine, spirits and snacks, and more. Advance Super VIP & Regular Super VIP – Access to all GA and VIP Amenities, Main Stage Super VIP Deck, Front-of-stage Super VIP viewing areas, Platinum concierge service, Private air conditioned dining room and lounge with complimentary lunch, dinner and snacks, and more. If you really want to get the most out of your Tortuga experience you can check out the Admiral Pass which includes all the elements of the VIP and Super VIP passes plus exclusive access to the backstage artists lounge as well as the Admiral-only shaded viewing cabanas. You will have on-stage viewing for select artists as well as lunch and dinner each day backstage with artist catering as well as the complimentary top-shelf open bar and massages from a licensed therapist. Don’t forget about a bag check and Admiral-only concierge staff. You can also get a three or four night hotel Admiral travel package for two which will include everything from the VIP and Super VIP passes, posters to the festival, round trip transportation to and from your hotel everyday, an on-site travel package host, and two Admiral bathrobes. If you want to spread out your payments over two installments then this is where you want to look. GA Payment Plan – 3 payments: The first on the day of purchase including all shipping/handling fees, the second on January 16, the last on Feb 15, 2018. VIP Payment Plan – 3 payments: The first on the day of purchase including all shipping/handling fees, the second on January 16, the last on Feb 15, 2018. Super VIP Payment Plan – 3 payments: The first on the day of purchase including all shipping/handling fees, the second on January 16, the last on Feb 15, 2018. To help take a load off of finding and booking your hotels yourself Tortuga offers a variety of travel packages to help you with the planning of your trip to the festival. Each hotel has multiple packages to choose from so be sure to check out each option and select the one that fits you best. Captains Cabana: Includes all VIP Amenities (Not Super VIP Amenities). There is space for 20 guests, amazing views of the main stage, free charging station and lockers, complementary drinks, pre show concierge, Personalized swag, and more. Shuttle passes will be available for purchase so you can park for free at the Galleria Mall. The shuttle will go from the mall to the festival and back. There aren’t any official places to park specifically for the festival but there are a few different parking lots nearby and throughout Fort Lauderdale. Official water taxi’s will be available for use to and from the festival location each day. Kids ages 10 and up are required a pass to the festival. Jason Aldean, Kenny Chesney, Thomas Rhett, Flo Rida, Sheryl Crow, Maren Morris, Kane Brown, Joan Jett and the Blackhearts, Dustin Lynch, Elle King, Midland, Chris Janson, Michael Ray, Michael Franti & Spearhead, Maddie & Tae, Carly Pearce, Raelynn, Trombone Shorty & Orleans Avenue, David Lee Murphy, Cassadee Pope, The Wailers, Damielle Bradbery, Delta Rae, Mitchell Tenpenny, Cody Johnson, Mishka, Lindsay Ell, Morgan Evans, Clare Dunn, Jillian Jacqueline, Wheeland Brothers, Tenelle Townes, Abby Anderson, Filmore, Natalie Stovall, Travis Denning, Waterloo Revival, Gabby Barrett, Logan Mize, Caylee Hammack, Carolina Jones, Levon, Rachel Wammack, Everette, Lauren Jenkins, Seaforth. Have any questions? Email them to us at contact@ticketcrusader.com.